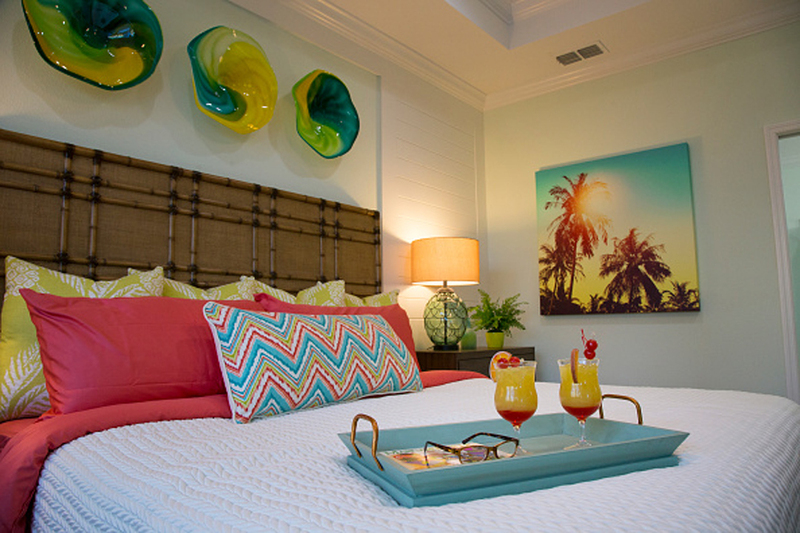 Let's welcome the warm weather and infuse some tropical vibes with simple tricks to transform homes into luxurious retreats. This World Interiors Day, Arshi Mukri, Design Expert at Pepperfry and Sudeep Kolte, VP-Sales and Marketing, Gyproc India, share some summer-ready ideas to revamp your abode that are fun and come at minimal costs. * Light it up: There is no better way to brighten up your abode than by using statement lights and geometric lamps. For a glam setup, play around with the lighting in the form of focus lights. When the sun is out there a gentle play of lamps and lights alludes a resplendent aura, which is certain to uplift the ambience of any room. Why not opt for designer ceilings which provide multiple lighting options to suit your choice? Easy to set up, designer ceilings provide various lighting options - from recessed to flush lights, all work extremely well for home interiors. Track lights in particular can be easily adjusted at varying angles and are ideal for kitchens, living rooms and gallery spaces. * Accentuate: How you decorate your abode is reflective of your persona and status. One can purchase from an array of glimmering mirrors, regal trunks and royal ‘jharokas' such that you can re-create varying themes reflective of tales within your home sans the cost of doing so. For summer, you can opt for floral themed accents and minimalist geometric patterned mirrors. You can also use colourful wall shelves as functional accessories. * Another brick in the wall: Wallpapers are a stellar answer! They ensure that your walls look brand new while saving you the additional cost you would otherwise incur on decorating your mundane wall. There are a plethora of options to suit your style one can choose from a wide variety of creatively designed wallpapers. * Make a statement with your fifth wall: Looking to do something more creative with other walls of your home? Simple yet aesthetic, designer ceilings are your answer. Gypsum-based designer ceilings, or the fifth wall as they are popularly known take a mere 2 weeks to set up with a smooth, seamless finish. Now, you can give the fifth wall of your home a bright, dynamic feel by customising it in the shape and colour of your choice. Whether you use paint or wallpaper, these ceilings are cost-efficient, durable and can last as long as a building's lifetime. The best part? Designer ceilings never go out of style. * Organisers: They do not have to be mundane utility products, one can choose low budget organisers in varying designs and materials, such that your room remains neat and further adds character to the theme of your home. Organisers in unusual designs can also be used as low-cost alternatives to a chest of wooden drawers or metal cabinets. They are sure to lend a quirky vibe to your home. * Blind out the sun: Curtains and drapes are easy to find and add an old-worldly charm to otherwise dull spaces. Drapes can also be used around poster beds to magnify their regal appearance and they can be utilized as colourful partitions within large rooms too. * Add plants: A good way to feel connected to the outdoors is to bring it inside. By adding plants, small or large, you are not only cleaning the indoor air, but giving the room a more out-in-the-open feel. If you're not good at up keeping plants, you can use plants like succulents or air plants which are very low maintenance.